Three-tier organizer holds file folders, magazines and more. Allows easy viewing of contents. Use in vertical or horizontal position. 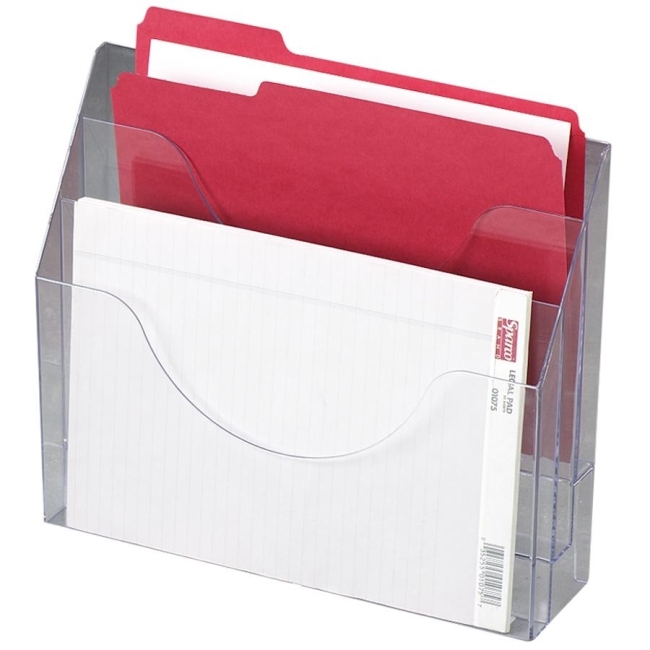 Wall-mountable organizer offers heavy-duty construction.